Bowdoin College (Brunswick, ME): Statement from academic dean of the school from which applicant is transferring, two academic recommendations, and Transfer Student Supplement required. International Student Supplement required of international transfer applicants. Other restrictions may apply. 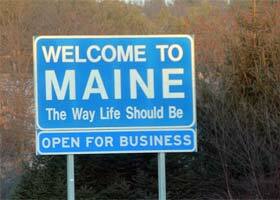 University of Maine at Machias (Machias, ME): Transfer students with foreign credentials must submit transcripts to a credentialing agency for evaluation.